Struggling with migraines, weight gain, and fatigue? Tired of spending your hard-earned money on doctor visits? Then it’s time to take a good look at your diet. What you eat has a direct impact your health and well-being. 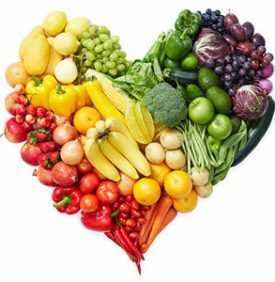 Good nutrition has the power to heal your body and ward off diseases. Bad eating habits increases the risk for diabetes, insulin resistance, cancer, heart disease, osteoporosis, dementia, and early death. A diet that’s rich in sugar, trans fats and processed food will not only increase your waistline but also will affect your body’s ability to fight diseases. Poor nutrition may also cause inflammation, allergies, mental disorders, and hormonal imbalances. When you’re eating poorly, your entire body suffers. The toxic chemicals found in processed foods affect brain chemistry and weaken immune function. Moreover, it contributes to stress, lowers energy, affects your work performance and relationships. The term “Clean Eating” is an eating style that focuses on consuming whole, real nutrient-dense foods and ingredients. Clean eating means avoiding processed, packaged or “fake” foods. It is void of artificial ingredients, colors and flavors, genetically-modified products, and processed oils like canola and soybean. It teaches us to reach for food that doesn’t have a long ingredient list. Real whole foods, like vegetables, nuts, chicken breast, don’t need labels. It is a diet rich in color and micronutrients, while consuming the proper balance of macronutrients (proteins, carbs and fats). Clean eating also means choosing the best quality choice available. Choose organic produce and grains that are less likely to have pesticides and sprayed with neurotoxic chemicals. Pick pasture and locally raised meat products that are free of hormones and antibiotic. Switching to a “clean” diet is the best thing you can do for your health. The benefits are immediate. In the long run, clean eating can dramatically lower your risk of chronic diseases and add years to your life. It’s in your power to eat clean and ditch the junk. It’s a lifestyle choice, after all. Too often it’s easier to blame stress, circumstances, or people for our poor food choices. The truth is that you’re in charge of your body and eating habits. Leave any excuses behind and commit yourself to a healthy lifestyle. It is never too late to starting eat healthy. Clean eating isn’t expensive or out of your reach. It doesn’t mean spending on fortune on special foods and state-of-art kitchen equipment. Actually, local and seasonal produce is often less expensive than ready-made meals and imported foods. Remember that the quality, not just the quantity, of our food affects our health. Cucumbers, zucchini, artichoke, mushrooms, squash, peppers, tomatoes etc. Switching from wanting sugar, processed foods and synthetic flavors to real food will take time. Remember that we want this to be a long term lifestyle change, not a fad diet or short term fix. Consistency, not perfection, is the goal. There will be that occasional time when you have a treat; however, it is critical to lay the foundation down of healthy eating now to create change and then maintain it. The more you cut back on processed foods and incorporating clean ones, the better you will feel. With the changes it will be easier to continue making positive steps in the direction of better health. The small changes DO add up! Add spices and herbs to enhance their flavor. Swap soda or fruit juices for fruit-infused water, and unsweetened ice tea. Replace cow’s milk and yogurt with unsweetened almond or coconut milk/ yogurt. Goat cheese & sheep’s feta are great non-dairy cheeses. Pure vanilla extract, raw cocoa, cinnamon, organic local raw honey, xylitol and stevia are an excellent alternative to sugar. Get a rough estimate of your daily calorie needs, and plan your meals accordingly. Calorie counting isn’t necessary, but you should still have a clear idea of how much you’re eating. If you go overboard, you’ll feel heavy and bloated, gain weight, and feel low on energy. Watch your portions. Beware that certain foods, such as nuts and seeds, are quite high in calories. Eat mindfully and stick to small servings. Whole foods work to restore your hormone levels and improve thyroid function, leading to improved weight loss. Download and start using the Lifestyle & Nutrition Journal. Plan out your Grocery List using the Clean Eating guidelines & List. Pick the time/date you will shop. Pick 1 clean-eating option from each category to incorporate into your daily diet.